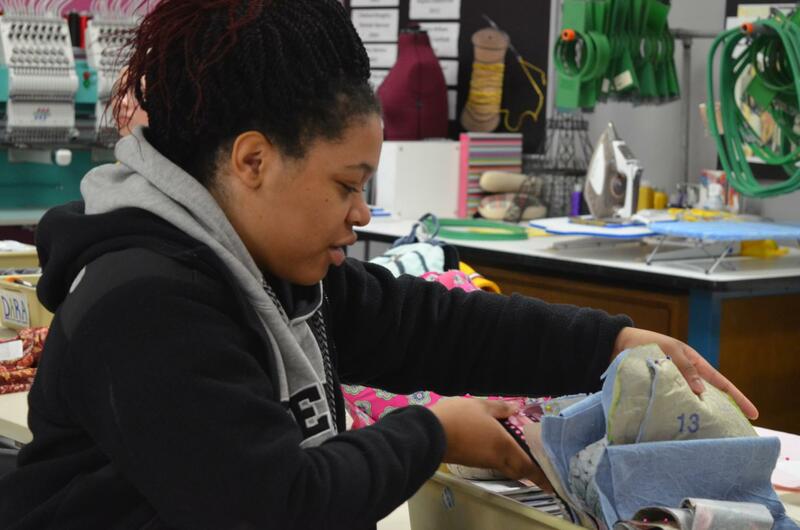 Senior Ry-Jae Fisher works on her shirt in her fashions class in Winnetonka’s fashion room. Fisher has been in six FACS classes through her high school career and is in three FACS classes this year. She is involved in Fashion 1, ProStart and Child Development 2.